The most effective way to tell your co-workers you don’t want to be bothered is to close your office door. But if you’re stuck in cubicle purgatory, that’s not an option. 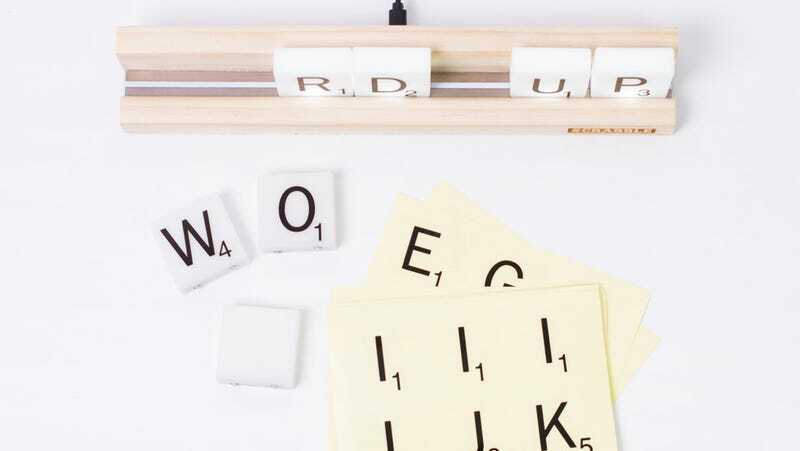 Instead, try this Scrabble tile rack desk lamp that lets you spell out seven-letter warnings like ‘GO AWAY’, ‘NOT NOW’, or other, blunter messages if your office lets you get away with it. 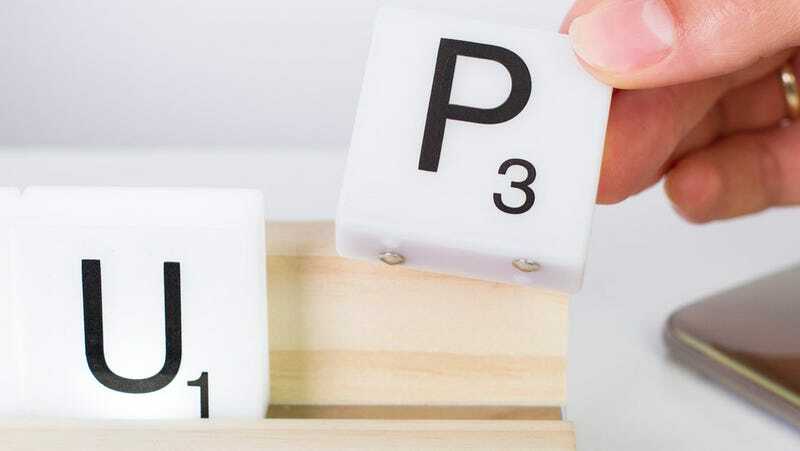 The glowing tiles included with the Scrabble lamp each feature a pair of metal electrodes on the bottom that make contact with charged metal strips when placed on the oversized wooden tile rack. You’ll still need to plug the tile rack in to get it to illuminate, but the tiles can be rearranged and repositioned as often as you want to change your passive-aggressive messaging.